Tirana, Albania, March 20, 2019 - The Iranian opposition People’s Mojahedin Organization of Iran (PMOI/MEK) celebrated Nowruz, the Iranian calendar new year (the year 1398), along with their supporters and many distinguished guests. Iranian opposition President Maryam Rajavi of the National Council of Resistance of Iran (NCRI) welcomed the new year and delivered a speech analyzing the past 12 months and providing a perspective for the year ahead. Mrs. Rajavi iterated the problems that different segments of the Iranian population are facing, including teachers, workers, farmers and more. “In the final moments before the turn of the year, we are standing with Iran’s workers whose table spreads are empty. We are standing beside the farmers whose farms are dry and dehydrated. We are standing with the honorable teachers of Iran who are discriminated against and humiliated, who have been doomed to live under the poverty line, and who are imprisoned for their legitimate protests. We are in the same front with millions of jobless youths and university graduates whose numbers grow every year,” she explained. Mrs. Rajavi also commemorated the memory of thousands of PMOI/MEK members and supporters who have laid their lives for the freedom of their country, including 30,000 political prisoners executed by the mullahs’ regime in 1988. “And before the turn of the year, our thoughts go out to our slain Mojahed and combatant children, the political prisoners executed in 1397, the 120,000 martyrs fallen for freedom, those buried in Khavaran and other places in every town and village with no tombstones,” Mrs. Rajavi added. Mrs. Rajavi hailed the efforts of PMOI/MEK-associated “Resistance Units” who have been challenging the waning power of the mullahs and their incapacity to contain ongoing protests across Iran. “1397 was the year of the expansion of resistance units when the strategy of 1,000 Ashrafs and the army of freedom shined brighter than ever in our occupied homeland. In 1397, the uprisings and protests shook the ground under the mullahs’ regime. Last year, the National Liberation Army culminated in 1,000 Ashrafs and resistance units which sprouted in cities across the country. The policy of appeasement was defeated and the mullahs lost one of the main pillars propping up their rule,” the Iranian opposition President continued. Mrs. Rajavi stressed that it is the time that the Revolutionary Guards (IRGC), the Iranian regime’s main implement for suppression and terrorism, be designated as a terrorist organization. While Iran’s economy has been on a constant decline, the mullahs have been liquidating the country’s resources to maintain their rule, Mrs. Rajavi said, also stressing that none of these measures will help save the mullahs from their inevitable downfall. “In the past year, Iran grew lots of blossoms heralding its political and social spring. The blossoms of uprisings, protests, and strikes. The uprisings in Kazerun, Borazjan, Ahvaz, and Khorramshahr. The uprising of Tehran’s Bazaar. The uprisings in early August in 27 cities. Five series of nationwide strikes by truckers and truck owners. And consecutive strikes and protests by workers, teachers, educators, and the retirees. And thousands of strikes, protests, and demonstrations in at least 700 cities and towns,” she explained. Mrs. Rajavi also stipulated that the designation of Ebrahim Raisi as the chief of the judiciary was another defeat for the Iranian regime and a desperate attempt to prevent the rifts at different levels of power from widening. The regime’s efforts to conduct demonize the Iranian opposition and conduct terrorist attacks against the PMOI/MEK and NCRI were faced with utter defeat, Mrs. Rajavi stressed. But the regime’s futile efforts only further proved who is the real alternative to their tyrannical rule. “The problem is not whether this regime is engulfed in this or that crisis; the problem is that the mullahs’ rule is in crisis altogether. Yes, the crisis is the crisis of overthrow. Throughout the past year, they were dreaming of finding a way out by annihilating the Mojahedin and the Iranian Resistance. So, they concentrated the core of their efforts on terrorism and demonization which targeted the Mojahedin, but they failed,” the Iranian opposition President added. The people of Iran are demanding regime change. “Now, the strategy and stances of the Iranian Resistance are echoed by the words and demands of workers, truckers, teachers, students, farmers and all protesters throughout the country: The overthrow of the clerical regime is the desire and demand of all the people of Iran. The problem is not whether this regime is engulfed in this or that crisis; the problem is that the mullahs’ rule is in crisis altogether. Yes, the crisis is the crisis of overthrow,” Mrs. Rajavi said. Mrs. Rajavi finished by describing the vision of the Iranian Resistance for the future of Iran: “We want an Iran replete with freedoms, where children and youths are happy, where talents and potentials are realized, and where women play their role in the leadership of society; a country that lives in peace, friendship and coexistence with its neighbors. The people of Iran deserve such a country and they will write and create such a destiny with their own hands. Former Albanian prime minister Pandeli Majko expressed his wishes for a free Iran in the new year.  Referring to the expulsion of the Iranian regime diplomat terrorists (Tehran’s ambassador and his deputy) from Albania, Majko emphasized that the real embassy of Iran is in Ashraf III, being the PMOI/MEK residence. Edmond Spaho, deputy director of the Albanian Democratic Party, voiced his support for the Iranian Resistance and the ongoing struggle for a free Iran. “With your efforts and the struggles of the Iranian people, next year, God willing, we’ll celebrate New Year in Iran. The future belongs to the people of Iran. Without a doubt, Iran will be free and produce prosperity for its people and stability in the region,” he said. “Despite the fact that my party is currently the opposition, we are unified to support you and we even support the actions of the government to expel Tehran’s diplomats who were involved in terrorist activities,” Spaho added.